If the Coalition were to go to the general election proposing what the people want — cheap energy, assimilable immigration, government living within its means, reversing the decline in educational standards and drought-proofing the continent — they’d win in a landslide. Scott Morrison will soon have to stop walking on both sides of the street. That may work in the shady world of the factional politics, but it’s no way to run a government. Australians will soon see through this. The Liberal party must now scrape off the barnacles. The first is to stop the embarrassment of privileged MPs whingeing about being ‘bullied’ usually by some unidentified person on some unknown occasion. This is a front for imposing quotas and targets, which, if imposed will be followed by similar demands for every possible identity, acronym and hyphenated group, even the non-existent LBQTIXYZ community. These devices are inimical to democratic selection which, in an advanced society, should be left to the rank and file or, preferably, registered supporters as in the US. Then the sinister cliques of powerbrokers and lobbyists should be disenfranchised from their positions of privilege in the machine, with the party finally moving into not so much the 21st but the 20th century. It was then that most similar Western parties emerged from their smoked-filled Tammany Hall back-rooms and became open, transparent and democratic, a situation proposed by John Ruddick in his new book, Make the Liberal Party Great Again. On that I remain of the view argued in Give Us Back Our Country, that in return for the vast cornucopia of money and legal privilege, a political party must be required to be open, democratic and transparent. This would involve the membership or better, registered supporters choosing the leader instead of leaving this to a tiny caucus of the self-interested. As leader, Morrison must ignore Turnbull’s mischievous demand that Peter Dutton be referred to the High Court sitting as Parliament’s creation, the Court of Disputed Returns. As I have explained here before, parliament in 1918 might have been wiser to have made the Balmain Police Court the Court of Disputed Returns. This would probably have resulted in interpretations of section 44 more consistent with the original meaning of the Constitution. And in any event there is no constitutional requirement to refer the matter to the High Court; the House is empowered to decide the question. So, Mr Morrison, take no notice of the temporary and with luck, permanent expatriate, Citizen Turnbull. Nor should you take any notice of headlines in the mainstream media that the proper exercise by Minister Dutton of his lawful powers in relation to visas is a ‘scandal’. It is not. What would have been a scandal would have been the exercise of his power to benefit the terrorists and criminals requested by certain Labor MPs. Incidentally, I see that I owe former Labor Senator Dastyari an apology. In June I wrote that in addition to being the Coalition’s best campaigner and enunciating a winning agenda, there was a third reason for the Liberal caucus to return Tony Abbott to The Lodge. This was because of the application, which I had tested here, of a rule of thumb used by political ‘pros’ in predicting American presidential elections explained in Zito and Todd’s recent ground-breaking study on Trump voters, The Great Revolt. This is the ‘beer test’: ‘Who would you rather have a beer with, Malcolm Turnbull, Bill Shorten or Tony Abbott?’ It has nothing to do with that superfluous pollster question, ‘Who would make the better PM?’ To my surprise, Sam Dastyari explained on Sky that Labor also dismissed the preferred Prime Minister poll and always uses the beer test. 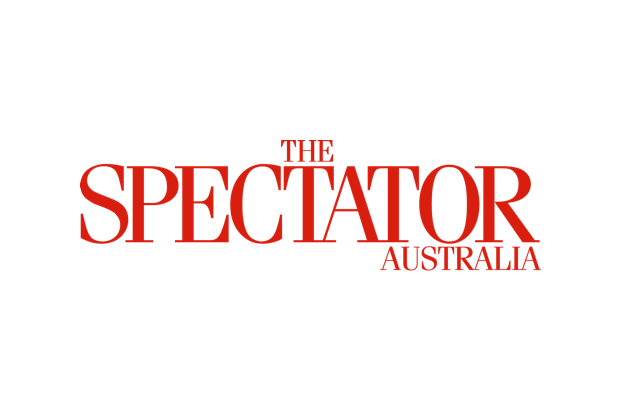 Far from assuming he borrowed that from The Spectator Australia, I must assume that he’s accurately recording a long standing Labor practice. With the award of $4.8 million to Rebel Wilson, reduced on appeal, and $3.75 million to the Toowoomba-based Wagners, defamation judgements are rising over and above awards to victims of say, factory accidents. This must inevitably have a chilling effect on public debate. In the US, where the plaintiff is a public figure or the action is over a matter of public interest, the onus of proving truth is not with the defendant as in Australia. Instead, the plaintiff must prove that the defendant either knew that what was published was untrue or that he was reckless and indifferent as to whether it were true or false. This flows from the First Amendment guarantee of freedom of speech and of the press in the Constitution. As the High Court has found that a freedom of political communication is implied in our Constitution, should not such communication be similarly protected by simply reversing the onus of proof? Given that the prime minister’s office revealed it was in constant touch with Yarralumla during the recent political crisis, it is reassuring that we still have a Governor-General above politics who is endowed with reserve powers about granting a dissolution and appointing or removing a PM. Under the 1999 Keating-Turnbull republic, it would have been easier for the PM to sack the president than his cook. It would have turned our head of state into his puppet. The PM could sack the president without notice, without grounds and without appeal. Supported by most politicians and the mainstream media, the Australian people wisely rejected this dangerous proposal nationally, in every state and 76 per cent of electorates.